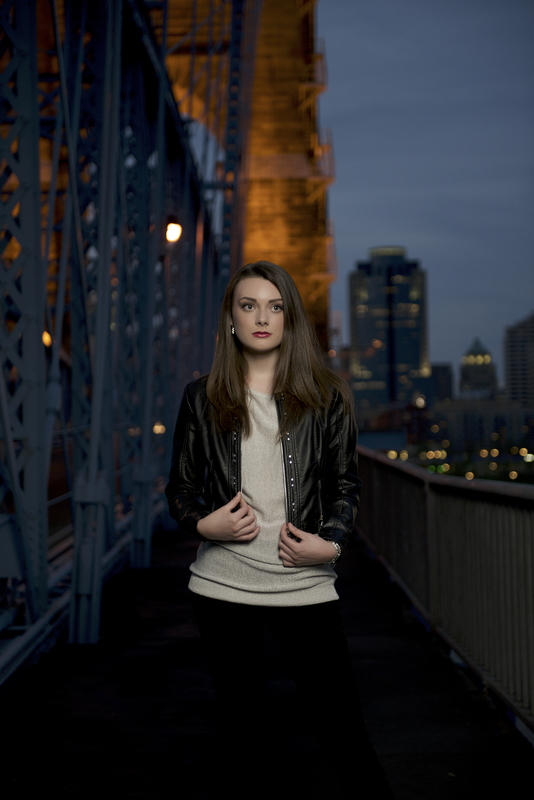 Jim Tincher Photography Senior Model Miranda is featured on the Seniors Ignite website this month! 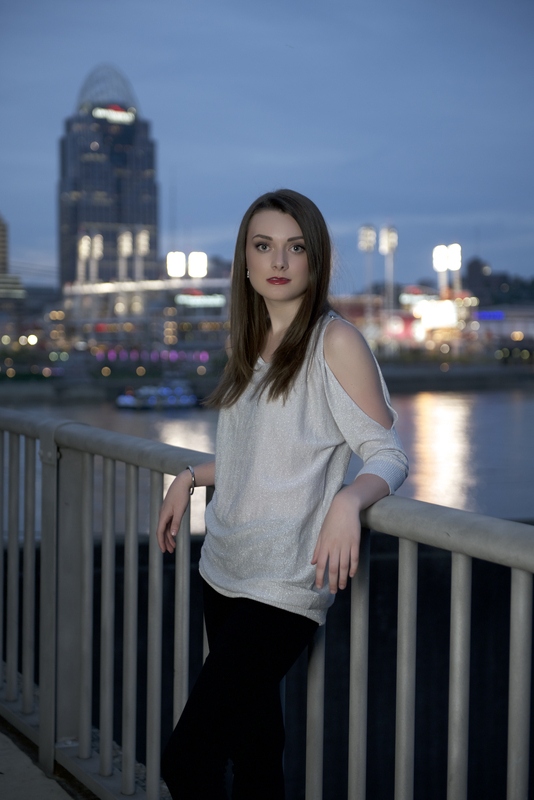 It feels so good to have my Architecture shoot with Miranda featured once again on the Seniors Ignite website! The challenge was to integrate architecture into the shoot. I thought about it long and hard and decided I wanted something iconic. Bridges are often that “iconic” structure such as London Bridge, Brooklyn Bridge or the Golden Gate Bridge… Truth is, we have a historical and iconic bridge right here in Kentucky that was the inspiration for the well known Brooklyn Bridge. The John A. Roebling Suspension Bridge, named for the civil engineer who designed it, has been an iconic Cincinnati/Northern Kentucky suspension bridge along the city skyline for nearly a century and a half. When the Roebling Suspension Bridge opened to traffic on January 1, 1867, its 1,057-foot span made it the longest suspension bridge in the world, a record it retained until 1883 when Roebling’s most famous project, the Brooklyn Bridge opened. During this shoot the famous lights that span the wires were not operating due to maintenance. 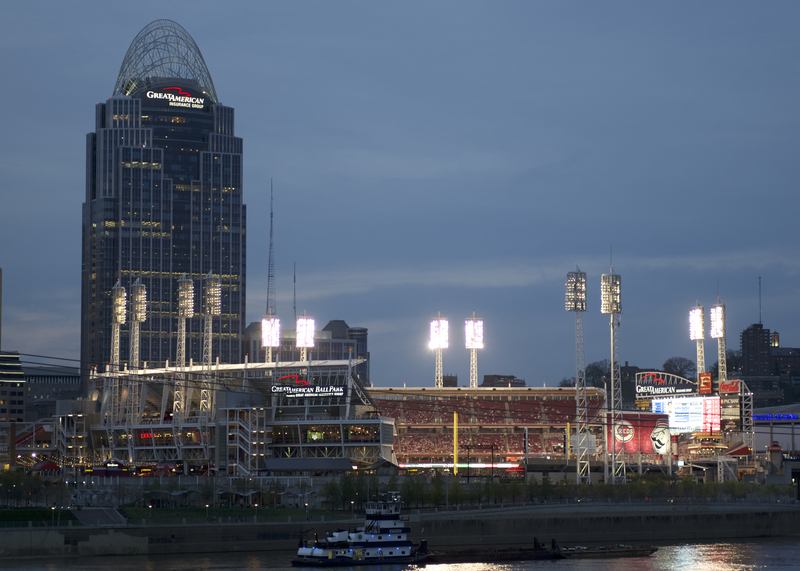 The Great American Ball Park is another iconic structure near the foot of the John Roebling Suspension Bridge. Many of Reds fans walked across the bridge to the ball park to see the Reds play a night game. 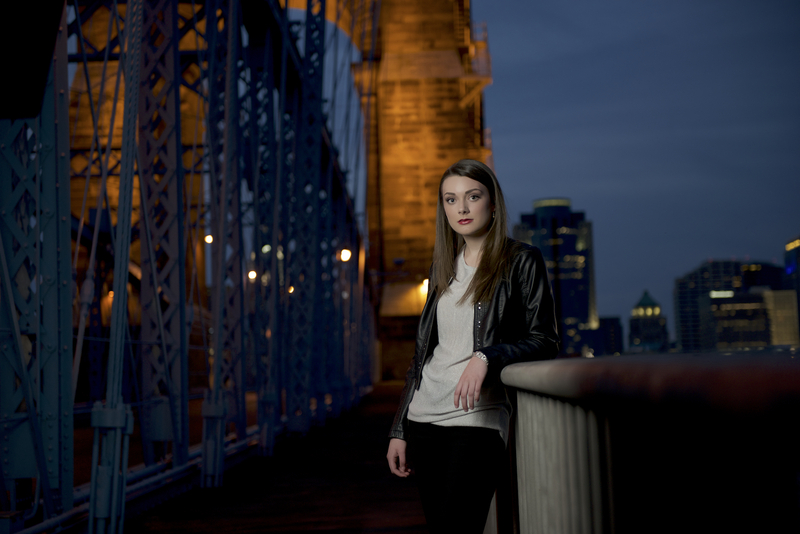 We were fortunate enough during this shoot for the Cincinnati Reds to be playing at home, which in addition to the tug boats and other city lights on the Ohio provided the ambient background lighting. 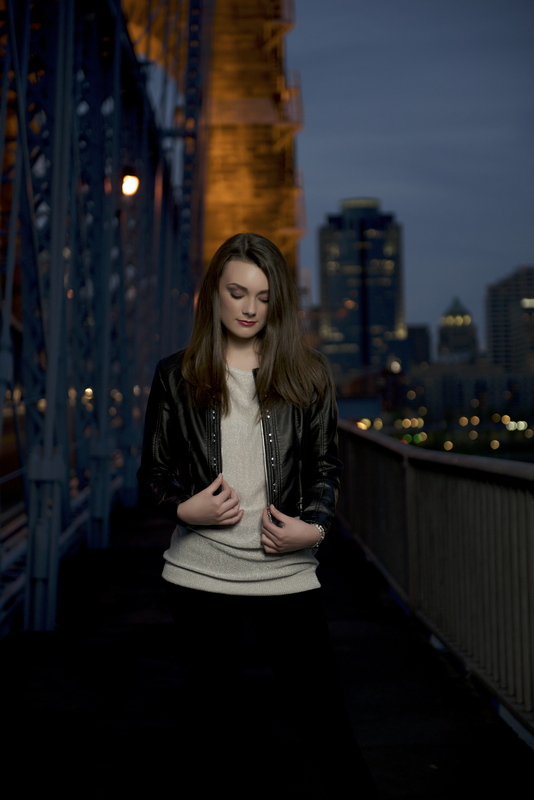 I hope you enjoy the images of Miranda as much as I did in taking them…. Please comment below if you liked these images, I’d love to hear what you think! If you get a chance visit my website, Instagram or twitter when you can!